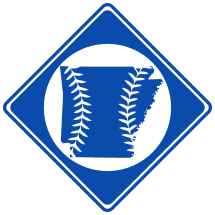 Bryan Maris Stephens, born July 14th, 1920 in Fayetteville, AR was a professional baseball player from 1939-1950. Stephens was born in Fayetteville, AR to Arkansas native Mario Stephens and Colorado native Nancy Stephens.1 Stephens moved to Colorado by about age four2 and to Los Angeles, CA by 1930. 1. 1930 U.S. Census , 1940 U.S. Census. 2. Stephens' sister Kate was born in Colorado.